Remember the days when you couldn't scroll through your Facebook or Instagram feeds without becoming completely and utterly enamoured by one of those Sand & Sky videos? 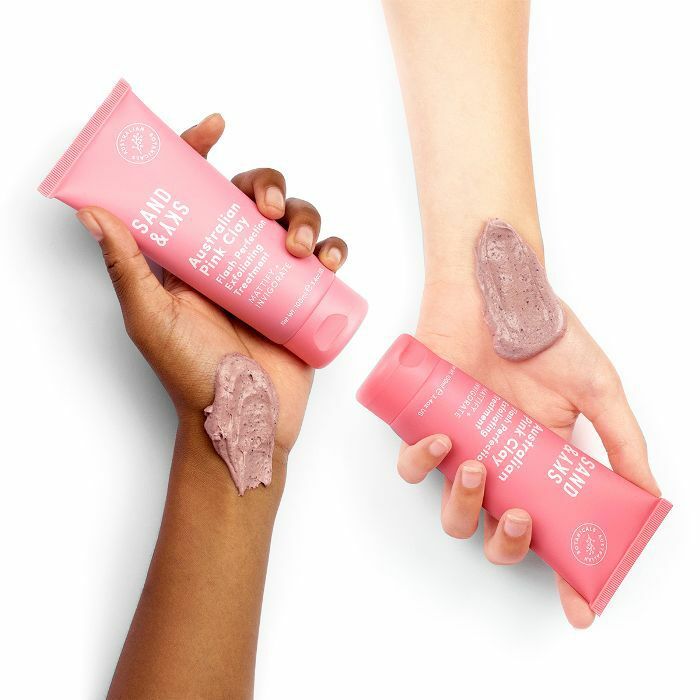 You know the ones—women would show their impressive before-and-after skin stories, revelling in how Sand & Sky's Australian Pink Clay Porefining Face Mask had managed to tackle their blemished skin, leaving it glowing and clear. Watch this if you're not sure. The internet went crazy for it. That mask was an instant success, selling 50,000 units in the first eight weeks. But it wasn't just an example of excellent marketing: Unlike so many other Insta-famous products that fail to perform, it really worked. In fact, this Byrdie editor claims she didn't feel the need to apply foundation the day after using it. 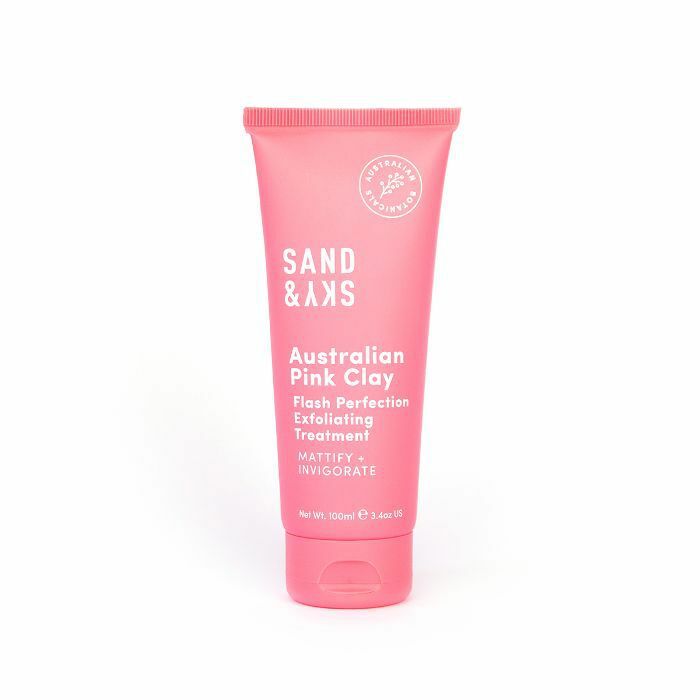 It's a hard act to follow, but Sand & Sky might have topped it with the launch of Australian Pink Clay Flash Perfection Exfoliating Treatment (£35). An instant pick-me-up for sluggish, dull skin, this exfoliator comes via consumer demand. The founders asked 5000 of the brand's most fervent fans what product they'd like next, and 34% requested an exfoliator. But of course, with a reputation to uphold and a 13,000-person strong waiting list to impress, this wasn't ever going to be just any exfoliator, was it? No, this one is super efficacious. It offers a two-pronged approach to exfoliation: First there's minuscule grains of macadamia-seed shell and bamboo that offer substantial scrubbiness without feeling like you're rubbing your face with a Brillo pad. That dislodges any flakes of dry skin, but it's the added chemical exfoliant that takes on the bigger brunt of the work—finger lime, an unusual gherkin-shaped lime you'll only find in Australia. It's a potent AHA that nibbles away at the top layer of dead skin cells to allow the fresher, brighter cells to show through. At the base of the formula is the same Australian pink clay used in the original mask, which not only lends detoxifying properties but it also gives the formula its pink colour. And there's also a handful of antioxidants (rosehip, grape seed and olive oils) for an extra dose of skin health. I, for one, am really enjoying using it. It's really helped chip away at some weather-induced patches of dry skin on my cheeks, and I swear the few pimples that had taken up residence on my forehead moved along a lot quicker than usual. Both the new exfoliator, and original mask are both available to buy online now—but I got word from the founders that stock is moving faster than they can replenish, so if it sounds up your street, I would order yours fast.